the Nintendo Switch could be a bit easier to get for this 2018. This is because the Japanese giant of video games is currently working on a plan to significantly increase the production of these. Recognized sources have told The Wall Street Journal that Nintendo intends to produce up to 30 million units during the next fiscal period, which begins in April 2018. Although Nintendo has already informed its trading partners of its decision, the plan is still in an initial phase. Depending on how sales go this holiday season, Nintendo could aspire to something even higher, said Nintendo management. 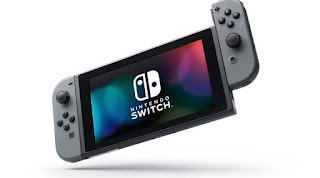 The Nintendo Switch was released in March with a huge reception by its users, and this thanks in part, to the successful title that includes: The Legend of Zelda: Breath of the Wild. .
Over a seven-month period, Nintendo sold more than 7 million computers and plans to sell 9.1 million more on the first anniversary of the console. The recent release of Super Mario Odyssey will undoubtedly contribute to Nintendo's successful entry into the holiday season. Nintendo President Tatsumi Kimishima said during the recent announcement of the company's revenue that the Switch's sales projections for the fiscal year have increased from 10 million units to 14 million units. It is probable that the sales figures up to this point could have been even greater if there had not been an inventory shortage. It is impressive considering that many expected the Switch to fight in a market with the most powerful consoles of Microsoft and Sony and also against smartphones that have dominated the mobile gaming scene. If interest persists, it is possible that the Nintendo Switch may one day surpass the original Wii , the company's most popular home console to date, with more than 100 million units shipped.